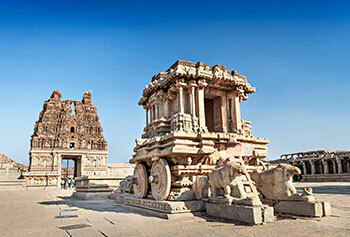 Karnataka, the state with rich culture and glorious history is located on the Southern-Western region of India. Some of the great dynasties such as Chalukyas, Hoysala and Rastrakutas prospered in Karnataka, and the state has the second highest number of protected monuments in the world. 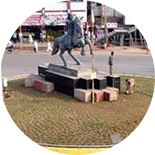 It is the seventh largest state by area with comprising 30 districts. The Konkanis, Malayalis, Tamils, Christians and Muslims have together made Karnataka a state with rich cultural and traditional heritage. Karnataka is blessed with abundant natural beauty. From the captivating hill stations to vast wildlife reserves and pristine beaches, there’s a lot of see and experience in the state. 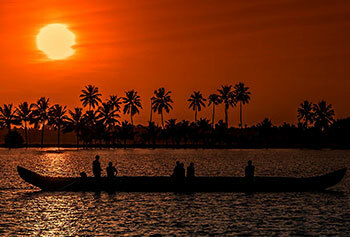 If you are looking for some adventurous time on your vacation, Karnataka is surely not going to disappoint you. The state with abundance of cultural heritage and wildlife with several significant tourist spots. 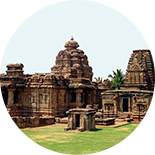 Karnataka has abundance of cultural heritage and wildlife. Every city has several significant tourist spots that one visit might not be enough to explore the entire state. 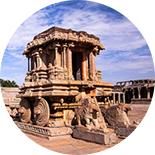 Some of the major cities that must be in the itinerary are Bengaluru, Mysore, Mangalore, Madhikeri, Chikmagalur, Hubli, Bandipur National Park, Nagarhole National Park, Hampi, Belur, Coorg, Bijapur, Halebidu, Pattadakal and Aihole. 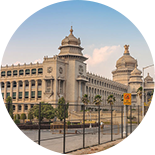 Travellers must visit Bangalore, the Silicon Valley of India for Bangalore Mall and parks. 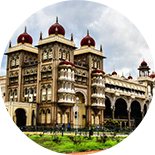 Mysore is famous for Mysore palace where you will get a feel of the royal heritage. Mysore palace is a beautiful edifice in Mysore, which is also called as the Amba Vilas Palace. It was the official residence of the royal family of Mysore. It is the second most visited historical monuments after the Taj Mahal. Visit Coorg for misty landscapes, Gokarna for pristine beaches and temple, Shimoga for the world-famous Jog Falls, Chikmagalur for magnificent landscape and aromatic coffee, and Hampi for Virupaksha temple, Elephant stables and other such 500 ancient monuments. The archaeological museum is an open air museum in Halebid that has several sculptures, inscriptions and exhibits including the bronze statue of Tirthankara, dancing shiva and Ganesha. 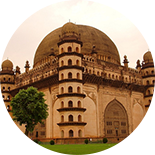 Gol Gumbaz in Bijapur is the crypt of Mohammed Adil Shah, the seventh ruler of Adil Shah Dynasty. 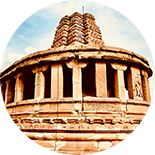 The monument has a circular domain and its design is inspired by Deccan architecture. The structure was completed in 30 years. Another great example of astounding architecture, The Citadel in Bijapur has palaces, gardens and halls. It was also created during the Adil Shahi dynasty. A lot of tourists visit Karnataka for adrenaline kicking experience. Adventure activities are held throughout the year in Karnataka. 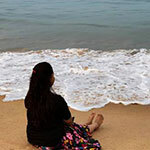 Indulge in water adventure at stunning beaches, camp at the remotest places, hike the trails and cycle up on the hills, there’s a lot to do in Karnataka. Other popular adventure sports are - skydiving, kayaking, bungee jumping, angling and river rafting. 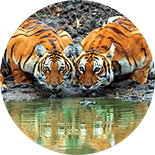 If you are a wildlife enthusiast, Karnataka has 5 national parks and 25 wildlife sanctuaries. 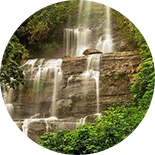 Karnataka is a diversely rich state in terms of flora and fauna. Approximately 20.19% of the total geographical area is covered by forests. The 25 percent of elephant and 10 percent of tiger population of the country is present in the state. The Western Ghat is a biodiversity hotspot with Bandipur and Nagarhole national parks. 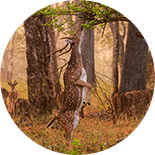 Guar, chital, tiger, loris, muntjac, golden jackal and sloth bear are some of the wild animals found in Karnataka. Some of the species of trees found in the state are Shorea talura, callophyllum tomentosa, wrightia tinctoria and artocarpus hirsutus. 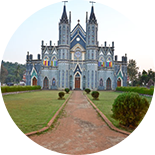 Karnataka has several religious places. The famous temple in Gokarna has a Shiva Linga called as the Atmalinga. The Mahabaleshwara temple is a beautiful example of Dravidian architecture as it is made of white granite. The 1500 years old idol of Lord Shiva is the main deity in the temple. 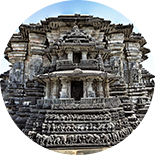 The Hoysaleswara temple, also called as the Halebidu temple was constructed in 12th century and is dedicated to Lord Shiva. 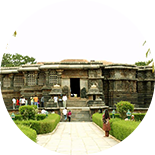 It is located in Halebidu, which is a small town in Karnataka. The temple has elaborate walls depicting the stories of several gods. Another shrine of Lord Shiva, the Murudeshwar temple has the second highest statue of the god in the world. 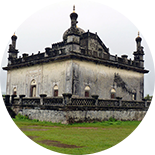 The temple has a mesmerizing location, as it is built on Kanduka Hill and three sides are surrounded by the Arabian Sea. The main entrance of the temple is 123 feet tall and the surface of the temple is covered with intricate carvings. The Horanadu temple is dedicated to Annapoorneshwari. The statue of the deity is made with pure gold and thousands of pilgrims and devotees visit the temple every year to seek blessings of goddess of food. An array of fairs and festivals are celebrated in Karnataka with tremendous enthusiasm. These celebrations are a reflection of the colourful and rich heritage of the state. Some of the fairs that are celebrated with gaiety and pomp are Sri Vithappa fair, Shri Yallamma Devi fair, Godachi fair, Banashankari Devi fair, Dusshera, Hampi festival and Vairamudi festival. The cuisine of the state mainly has rice, roti, pulses and spiced curries. Some of the elements are influenced by the bordering states of Kerala, Maharashtra and Tamil Nadu. The authentic food is rice in vegetarian and non-vegetarian dishes. The main dishes are Vangi bath, Akki roti, and Idli-vada sambar. When it Karnataka, one must try Medu vada, Rava dosa, and Mysore pak. 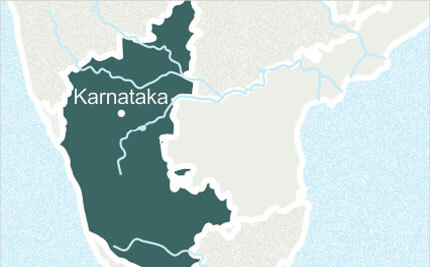 Karnataka is a hot-spot for shoppers. Over the years, it has become a shopping hub for rosewood carvings, handicrafts and silk. Some of the items that must be on the shopping list are Incense sticks, Metal lamps, Mysore silk sprees, Perfumes, Sandalwood sculptures, Mysore paintings and Sandalwood oil. Karnataka has varied climatic conditions. Bangalore, for example, has pleasant to moderate temperature in summer. 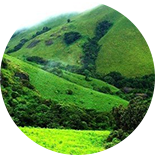 Hill stations such as Coorg and Chikmagalur are ideal summer retreat. Winter is the best time to visit Karnataka as the state doesn’t have severe cold and dryness. Kannada is the official language of the state, as 65% o the population speaks the native language. Tulu, Kodva and Konkani are other languages spoken by a small native population. 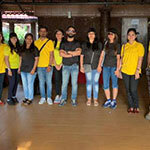 Most of the tourist guides as well as locals can understand and speak English and Hindi. Karnataka is a land of varied landscapes. From pristine beaches to mesmerizing landscapes and architectural wonders, you will find it all in this one state. 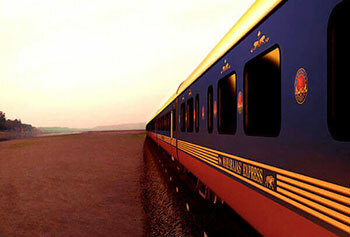 Karnataka is easily accessible via road, air and rail. As there's so much to see, most tourists are are not sure how to go about planning a travel itinerary. Let our team take care of all travel needs and ensure that you have a memorable experience in the state.